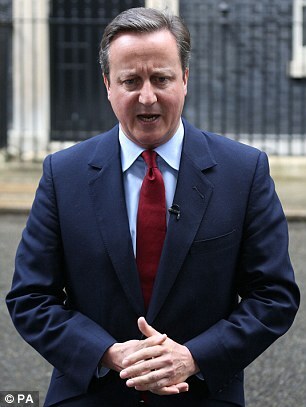 David Cameron is rated by the voters as the best Prime Minister since Margaret Thatcher, a new poll revealed today. Mr Cameron, who quit Downing Street last month after defeat in the EU referendum, is rated good or great by 32 per cent of people asked by YouGov. 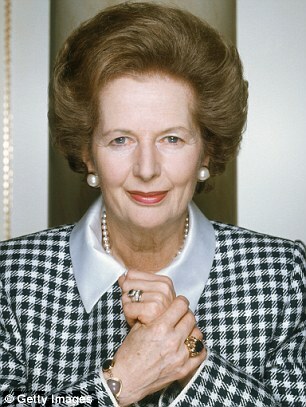 He is beaten in the survey only by the late Baroness Thatcher who was scored positively by 43 per cent of the public. 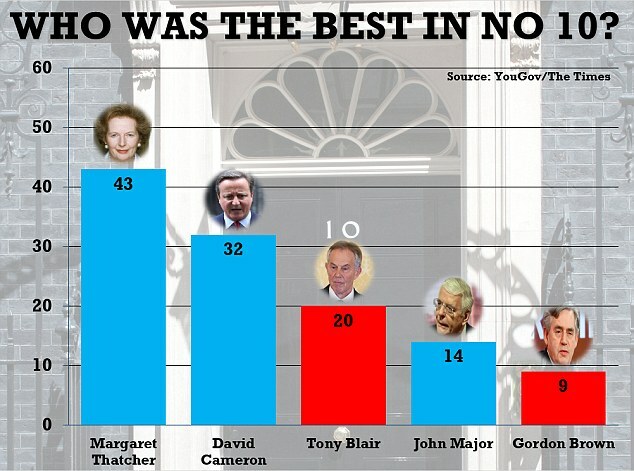 Tony Blair was third in the survey, carried out for The Times, on 20 per cent, ahead of Sir John Major on 14 per cent. Just 9 per cent of the survey rated Gordon Brown as a good or great inhabitant of 10 Downing Street. Mr Cameron was praised as a good prime minister by 40 per cent of Liberal Democrats – despite his electoral destruction of their party in 2015 – and even by 15 per cent of Labour voters. A voter intention survey of the same group revealed Theresa May’s Conservatives are backed by 38 per cent of people, a sharp contraction on YouGov’s previous poll but still comfortably ahead of Labour on 31 per cent. A separate poll, by TNS, found the Tories 13 points ahead, on 39 per cent to Labour’s 26 per cent. The figures suggest that as Mrs May takes her first holiday as Prime Minister her honeymoon with the voters is continuing.